Note: I'm going to copy thecoolestjedi12's PGHW thread since it's well done. 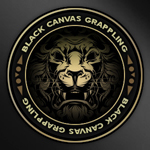 Black Canvas Grappling (BCG) was born as a result of Golden Canvas Grappling (GCG) joining the Modern Japan Movement (MJM). BCG, aside from Pride Glory Honor Wrestling (PGHW) is the only Japanese company to still run a touring schedule and to have not joined the MJM. When Yoshifusa Maeda, a puroresu legend who'd won countless titles in GCG and had remained eternally loyal to the company even after retirement discovered GCG's entering the MJM, in his anger, he formed BCG with Kazu Yoshizawa, a fellow GCG legend who was equally displeased with GCG entering the movement. BCG struggled early on but thanks to perhaps one of if not the biggest Gaijin puroresu legend, Pistol Pete Hall's presence as the quasi-figurehead for BCG, they were able to wade through the storm, build up some of the best young talent in the world, let alone Japan with the likes of Funakoshi, Bunrakuken Torii and Razan Okamato. I'm not super familiar with BCG yet but I intend on gathering and adding up info to the opening post so it serves as a guide nevertheless. BCG is the #6th company in Japan out of 9. Pistol Pete Hall retired in 2015 which means you've truly got to rely on the next crop of talent, Bunrakuken Torii (current World Champion), Funakoshi, Razan Okamoto (who may leave anyways) and Blast Ikoma. With a certain economic crash coming in May, you probably want to shore up as much money as you probably can until then and that might mean letting Razan, unfortunately a definite ace, go. GCG is also regional, as you are, which means you're sort of both racing to Cult and to take the other out. Alongside with you is Joshi company 5SSW. I wouldn't worry too much about WEXXV who are a garbage small company, nor SAISHO (for now) but EXODUS 2010 is definitely something you need to keep an eye out for. They've got incredible finances so even if they don't match you in terms of talent, the production values definitely help them out. Mentioned it before but Funakoshi and Bunrakuken Torii are the guys your company should focus on. I'm really high on Funakoshi and he's arguably my favorite CVerse character so I'll make him Ace if Razan goes but you might also be tempted to give it to Bunrakuken Torii or you could of course choose not to have a Figurehead. Blast Ikoma is another great main eventer for the future. He's loyal to the company and already has the pedigree with the company. If Razan leaves then Funakoshi, Torii and Ikoma could be your Three Greats. And of course, if you do come along someone better than Ikoma, you can sub him out. Personally, I'd try to come up with a three stable (four if you want to make it Four Greats and split it with two heel/two face factions though you don't have a divide) system focused on your three greats. It'll make it easy to book the shows if you have easy 2-4 man teams to rely on. Yoshinaka Taku who is one half of your current tag team champions is definitely one of those guys who could eventually rise up to take one of the 'Great' mantels. He's only 24, but unfortunately he isn't loyal yet. Still, he's much better than his father and partner Toshinobu Taku, I'd keep him in the tag division till Toshinobu shows signs of retiring and maybe have him be the one to retire Taku on his way to the bigger stage - if he stays that long. Giant Brody who reminds me a lot of Luke Harper, a 6'9 guy who can plancha, and can actually wrestle, he's got easy monster heel potential and I'd endeavor to keep him on past just touring contracts. Big Bruiser Findlay and Bulldozer Brandon Smith are two more guys you should keep an eye on, into their early thirties, they're still pretty talented HOSS types and alongsider Giant Brody, you could get a MEAN looking Gaijin stable to add some fire to the stable wars. Tanyu Toshusai deserves his own paragraph since he's also got ace potential. He's lower on the card but hes got incredible star quality, the legacy behind him, and is extremely talented. Definitely a cornerstone of the company if you can keep him and get him loyal. I figure its worth noting, in the first week of my game, GCG came after Sojuro Sen, Razan Okamoto and Tanyu Thoshusai. Maeda, the owner, probably won't let you pay enough to keep any of them and since you're at war, they're bound to leave so definitely do not make plans for Okamoto (or Sen), your chances of keeping him are slim. I don't think you necessirally need a figurehead atm and no one has the immediate qualities to be one anyways. Razan is the obvious choice if you can keep him, though Torii might be second. I will likely choose Funakoshi if Razan leaves because Funakoshi embodies BCG for me. Really, take your pick on who you like most between those three. If you want a headstart, then you can pick one out early and build him appropriately. Torii and Funakoshi are your likely options, I have a feeling Torii fits better but Funakoshi really is the BCG GOAT. You're already 7 past ideal roster (8 if you take an outside wrestler and bring him as your UC) so I wouldn't make any real suggestions. You'll probably lose a couple of guys and you want to have a tight handle on your finances. You'll have to pass on the Greg Gauge's of the world for now. You don't have any stables to start with hence my earlier recommendation of starting 3-5 stables. One behind Funakoshi, one behind Torii, one behind Razan, and one behind Ikoma (optional) and another Gaijin one (also optional). Tanyu and Taku can rise to take over a stable or start their own as you and they grow. Otherwise, you've got six tag teams and thus nothing to worry about on that front. 3 of them are units and 3 of them individuals. I'd keep building up Yokokawa and Sen as a unit, you don't need either in singles division, and Murkami and Sotomura are old so you might as well keep them as a unit as well though perhaps splitting them up and pairing them with younger workers to pass on their knowledge too would be worthwhile. Of course Bunrakuken Torii is a World Champion at the moment so his partner is more likely to just tag along on tour shows then make any serious run at the belts. Booking: Champion since August meaning he's not a fresh title holder and you don't need to have any regrets about taking the title away from him. Still, I'd actually keep it on him, the only catch is to keep him away from Funakoshi who is head over heels above the rest of the pack. If you want to keep the title on him then the easy first challenger is Masayuki Shiga who you should keep strong until their title match. Shiga is old but 2nd highest in terms of pop, he has no other purpose but to put one of Torii or Okamato over in my opinion. If Shiga's pop is still somewhat in tact, a 2nd match might be in order, otherwise, I'd have him feud with Ikoma. If you want the title on Funakoshi then that's also doable, he's got the pop to carry the company till Okamato or Torii can catch up. Booking: I have no intention of taking the titles off them until Toshinobu wants to retire. He's five years into time decline on mine which I assume means it's only a matter of time so I'd wait till it feels like he might retire, give up the tag belts and have Yoshinaka Taku fittingly beat him in Toshinobu's last match. Booking: With the main event already stacked with growing young talent, this may be the place to keep Tanyu in. I might be half tempted into turning this into a glorified defended every show title and have Tanyu beat veterans and local talents to harness himself and grow. The obvious worry being his ego of course but still. Booking: I'm turning this into a G1, no doubt about it, winner gets a world title shot, not sure about what I'll do if the champion wins though, still. Funakoshi (2), Torii are the other victors. Keep it in the trio imo or give it to a rising star like Tanyu, Taku or maybe even Ikoma. This is where your MOTYC will come from imo. TagMania, the February event, is listed as all 2 v 2, a one night tournament or turning that into a tag round robin is very doable. Definitely getting a tag trophy for this. The Survivor is an event in June which plays host to a battle royal, can turn this into a quasi Royal Rumble event, not common in Japan but why not. Give the winner a title shot next event or even have the champion defend it in this event. The Lion... not sure about this but the three final events of the BCG wrestling year are all lion themed (Lion Rises/Hunt/Roars) and it seems like there needs to be something done in relation to that. This can be done when you're at cult and have expanded your roster maybe. Goes without saying, you're at war with GCG. Crush them. They also try to get Tanyu, Razan and Sojuro on PPAs. Yoshifusa Maeda doesn't want you allying with other companies, so... yup. Will add to this one definitely, your production is way lower than the competition and that'll cost you ratings wise. I'm just not sure if its worth upping production values in the face of the coming economic crash. Sure, you may not suffer too much but once that crash comes, you might miss the money you gave up trying to maintain production values. I'd only do it if you were seriously suffering in the war against GCG and if EXODUS 2010 or SAISHO were making gains on you. I did upgrade production values and live event experience so as to not be too far behind the competition but GCG and EXO2010 seem to have the money to be able to go further, particularly EXO2010 who really have money for days. I'm definitely inexperienced with BCG so take this advice lightly, but I intend on getting more info as I move along with the company. Last edited by Jon The GOAT : 05-02-2016 at 05:49 PM. I haven't been home yet to buy the full version,but I ran through about 5 or 6 2-month periods with BCG on the demo. Not once was I able to not have Razan or Tanyu signed away - has anybody experienced anything different? I would expect to lose both of them early unless someone figures out a way to get loyalty to kick in fairly quick. If it plays like 2013 you can expect to get poached pretty hard in your tag division too. Luckily your worst case scenario has three young future stars to build around and some experienced vets that likely won't get poached. I am looking forward to giving this a go as BCG is by far my most played promotion in 2013. Were BHOTWG signing them away. Maeda wont let me match GCG's PPA offers for Razan/Tanyu/Sojuro so they're bound to leave since we're at war. I'm not sure if this is my test file or my main file but I just got past Heritage, the January big event. I ran 2 road to shows during the week, each other them 1hr with 4 matches about, I tried to avoid big matches but after Tanyu/Razan/Sojuro were signed, I decided to say **** it and give Razan an epic farewell tour. Aside from his first match against Funakoshi, it was quite the disappointment, in the Heritage main event, he lost to Torii but they had no chemistry and completely bombed with a 48 rated ME. Still, Funakoshi stole the show with another 79 rated match against Big Bruiser Findlay. Yoshinaka Taku and Roku Satomura are doing really good themselves. Roku being the particular surprise. I still have no plans for him but it's cool to see him doing well. Tanyu dropped the title to Giant Brody and proceeded to job to K.P. Avatar at the Heritage event. I will need to give K.P. Avatar a more fitting gimmick and persona for BCG. I'm thinking a black Shinsuke Nakamura. Super charismatic. But he definitely needs to catch up in terms of ring quality. Still, now that we're past the first event, I think it's time to get serious with booking. BLAST: Led by the worst of my Great Three, Blast Ikoma's BLAST probably doesn't have a long future. I intend on Yoshinaka Taku eventually taking over when he's truly elevated to main event status. Once that happens, I don't know what awaits Blast Ikoma who isn't at the level of Torii or Funakoshi for me. Either Roku Satomura is naturally good and I've underestimated him or he's got a great destiny roll this file, either way, he's doing really well so if Yoshinaka isn't ready, he might take over instead. Naonobu is in here by virtue of being Roku's partner. Okimasa isn't all that special. Fits in with the not all-that-special BLAST. With Sojuro Sen gone, Nobuharu slips into the job-stable to see out his contract. SHOGUNATE Torii, as much as I wanted Funakoshi to be it, is the company's figurehead. He'll lose very rarely and likely only to Funakoshi himself. He's got more charisma and star quality as well as being a good face with the only thing lacking being that Funakoshi is far more over. Dynamite is in by viture of being Torii's partner. Rokuemon's got definite potential to be a long term part of BCG and I intend to keep him strong as he learns the ropes next to Brody/Goto as my future main event HOSS squad. Sofu comes in as the veteran leadership here, and serves nothing more. He's got some pop to leak out too. Yoshisada is half there to add to the thin stable, but also there because he fits the sort of face appeal this stable would have. SAMURAI SEVEN: Always seven members. Funakoshi is the obvious leader and the (unofficial) Ace of the company. Inejiro and Noritoshi fit nicely in by virtue of being the Aces of the tag division. Kadonomoro Misaka is a ruthless man who likes to break necks. Fits in rather well though obviously one of the weaker(weakest?) member of S7. Kiyotaka is also all-business, suiting well up with the super serious S7. Again, not on the level of the three heads but nevertheless a good worker. The veteran's veteran, 51 year old Shiga is a main eventer though obviously dwindling down, you've got be a dangerous mofo to last till 51 in Japan's ruthless environment. Naozane Goto's an ex-sumo wrestler and seems bound to rise up the ranks as well, Funakoshi's closest competition once he really starts growing in the ring. FOREIGN CONQUERORS: Gaijin Unit. Brody is the leader for now but I'd like a more distinct top of the class worker to take over. The next big event is TagMania, it'll have a one night only 8 team tournament. I'm not sure as of yet who will win but I suspect a Team Taku vs. Shiga & Funakoshi final may happen. After that, it's the end of the tour and I can take a step back and decide how I'll book going forward - particularly on if I'll keep a two tour shows a week schedule and if I can upgrade my production or not. I've been using BCG to get into the Japanese scene in 2016, and I've been really enjoying it. I set up some stables around Blast Ikoma, Bunrakuken Torii, and Funakoshi to give me some meat, and Funakoshi especially has been doing awesome in every match. I used the editor to make Razan loyal just so I could play with him; I've had him refuse to join any stables and try to be the fan favorite lone wolf- I'm really getting a Japanese Shawn Michaels vibe on him: great selling and charisma to draw fans in, good star quality, smaller than a normal main eventer. Findlay and Bulldozer have also been really good, and Brody is useful in car crash matches to get the crowd up, so some good foreigners, which should be a classic. Also brought in Moromasa Kato and Hitomaro Suzuki as a bruiser tag team in preperation for TagMania, which I think I'll use for a tournament, and then I'll look to bring in more teams on temporary deals to bolster the ranks. Not sure who I'll have win the Grand Prix- Funakoshi is the most deserving, but already has wins and is a solid main eventer, Shiga is old, Torii is already the champ, Ikoma isn't there yet, and Razan won last year. Kato came in as a ME, and he's a good worker, so maybe him? But he's also new here. Findlay could be a good pick, as part of a ME push, but I'm not sold that the big foreigner is on that level yet. I honestly didn't mind Razan/Tanyu/Sojuro leaving even though they've got high potential and Razan was figurehead bound. As a more direct comparison to the Japanese scene, I actually see him as a Hiroshi Tanahashi vibe. Funakoshi reminds me of Hirooki Goto. Funakoshi is an absolute GOD. I had him in BHOTWG in TEW13 and he was a main eventer not too long in. I'm so glad he's also amazing here. I like to keep track of individual good performances (60+), since I started calculating, Funakoshi is just way above everyone, 80+s every match (5 so far), Torii is visibly getting better with mid 70s now and he's got 4, Roku Sotomura was the real surprise, unfortunately he's 37 but I'm almost tempted to give him a surprise Grand Prix victory, he's got 3 and hit 71 in a match, Yoshinaka Taku is definitely not up there yet but he's always around 60 and guaranteed to elevate his match and finally the Gaijin gem, Bulldozer Brandon Smith is almost demanding to be the leader of my FOREIGN CONQUERORS, always the best of the bunch. After finishing 4th in the regional battles, I pulled the trigger on upping production values to avoid the penalties and we're pulling shows in the low 60s now, still not enough to beat 5SSW's 72, or whatever GCG will conjure but I think we can top EXO2010. Biggest worry is that we're not doing well financially. The A.I. has 3 shows a week + monthly event, I'm only at 2 shows a week + monthly event and still worried. Also, I just had Bulldozer Brandon Smith accidentally defeat Tanyu for the Challenger Series belt by misclicking. I think I'm gonna run with it, though. Still not doing well financially and I'm worried this will be a failed file. Still, here's the progress. Funakoshi is still GOD and is carrying all my cards. Bunrakuken Torii has hugely improved and is putting on consistent 80+ performances now. Roku Sotomura, Bulldozer Brandon Smith and Big Bruiser Findlay are doing really well too. Yoshinaka Taku, Yokokawa, Inejiro and Miura are doing decent. They're definitely the best guys in my company so far. Blast Ikoma is a disappointment. My match of the month was Yoshinaka Taku vs. Funakoshi. They had great chemistry and did and 84. TagMania 3 was a pretty good show and we crowned out first TagMania Grand Prix winners as the American Demolition. Took a risk in letting Bunrakuken Torii lose in the finals (Dynamite took the fall) and allowing Funakoshi to lose in his second match (had Shiga been available, he probably would've went into the finals). American Demolition paid off with brilliant main event performances and Torii of course being the Ace he is also brought it, Dynamite is definitely not in his league though and he may need a better partner. On the upside, I finished 2nd in the Regional Battles after finishing 4th last time. GCG were too good to outdo. So I feel like I'm bound to die after this month. Lost Inejiro and Miura to GCG (my 5th loss to them). In any case, it's time to start the Maeda Grand Prix which will mean 18 shows on road to the big event. Again, odds are pretty high I'll go in the negatives after this month and I'm almost ready to chalk this file up as a loss. You can probably predict who's going to the finals. Thought id post my TagMania 3 show aswell, less tag and more Mania tbh. Tanyu Toshusai and Yoshinobu Taku have both been really awesome for me in the midcard so far, also. They've both been outperforming Blast Ikoma and Masayuki Shiga, for one. Push them up the card, and then you've got a really good solid and young core of those two plus Funakoshi, Razan (if you can keep him), and Bunrakuken. Any combination of those five is ratings. So BCG really does have an excellent roster, it's just the financial situation you have to be careful of. How did you manage to keep Tanyu? I played a ton of BCG in 2013 so I'm not very happy with BCG in 2016 and its development. Losing Okamoto & Tanyu doesn't make much sense to me in canon but I can forgive it. Leads to an "exodus" which is interesting. I knew it was coming this game so I pre-emptively hired Hitomaro Suzuki, Omezo Shikitei, Outlaw Wes Revell and others to fill the void. What I can't forgive is Blast Ikoma being a former world champion having had a reign equal to Funakoshi. That one really, really bugs me. In every game I've played, including this one, Ikoma is a solid hand but not world champion or main eventer level. Even in 2016 where you'd think he'd have gotten a stat boost he's still worse then Funakoshi, Torii, Okamoto, Tanyu, Y. Taku, etc, etc. The other thing that bugs me is the game won't accept Funakoshi as figurehead. I guess you can do it anyway and hope the penalties aren't that bad, but Funakoshi IS BCG. He's the best guy, he defines the style, he's the top guy of that generation, and he'll often carry the company on his back. Okamoto & Torii are close but neither are on Funakoshi's level at game start. Also absolutely hate the name "TagMania". I don't know who came up with that but they should feel bad. I advocate renaming it to the Kazu Yoshizawa Honorary Tag Team Grand Prix since he formed BCG with Maeda. I also like throwing "Honorary" into the Maeda Grand Prix. Don't like the Challengers title name either (I know it existed in 2013). In my last 2013 game I created the Pacific Openweight Championship, so I'll probably do that again. So it kind of puts me in a weird position. BCG is by far my favorite promotion but I really dislike a lot of the things that happened in the jump and the roster itself hasn't developed or changed much. By cheating. Tanyu usually takes off for GCG if you don't edit in loyalty.